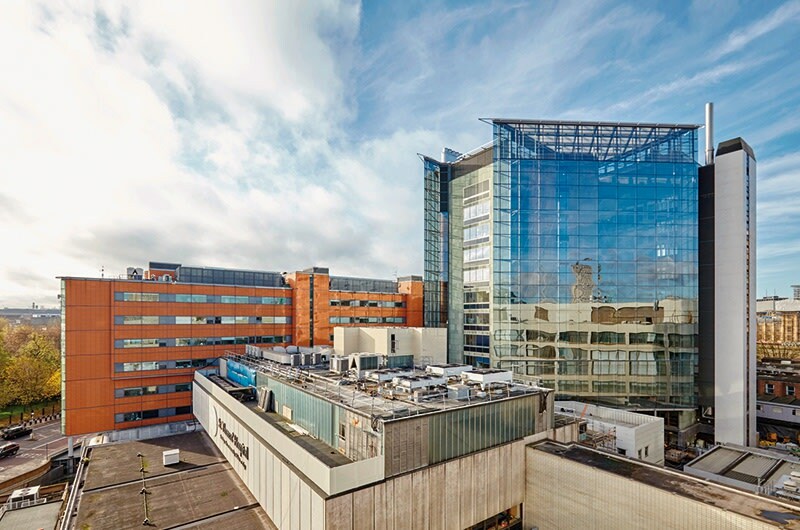 Hopkins Architects have completed the recladding project for the East Wing at St Thomas' Hospital along the Thames in central London. The project secures the long-term future of the 13 storey T-shaped tower, which was originally built in 1966 and suffered from significant problems associated with water ingress, excessive solar gain and inadequate lift capacity. Hopkins' competition-winning scheme saw the retention and refurbishment of the existing facade (made of natural slate, teak, stainless steel and ceramic tiles) and the addition of new glazed cladding, creating a double-skinned façade along the building's western side and two new atria along the east which house new bed lifts and an art installation in a dramatic and light-filled environment.